This was a free, open source, application that is being develoeped by Logan Allred. There is not a compiled/binary version available at this time, however if you are familiar with compiling and Cocoa, as well as CVS, you might be able to download the source code from SourceForge (linked below) and compile the software. 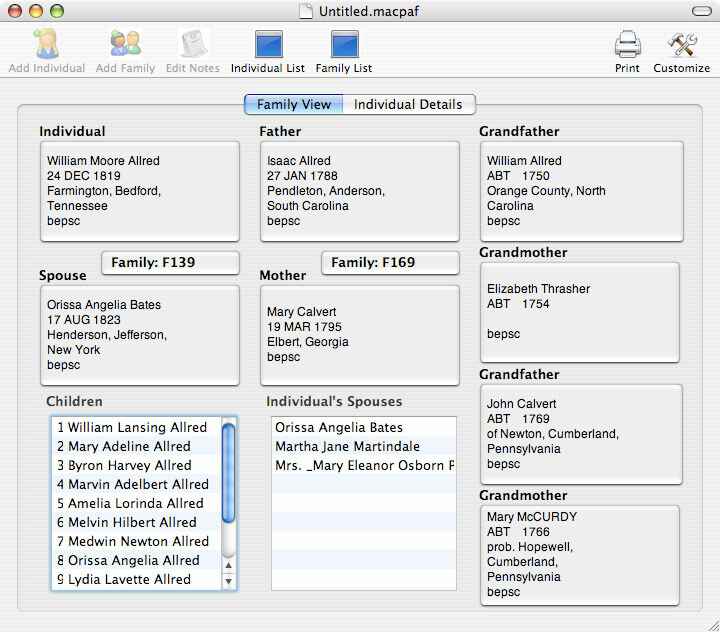 This is not officially a replacement to PAF/Family Records 2.3.1 (which hasn’t seen any development or updates in years), but rather is meant to replace PAF/Family Records for those Mac users who are still using it. This was originally going to be called MacXPAF.